News of Marvel NOW got you in a spin? 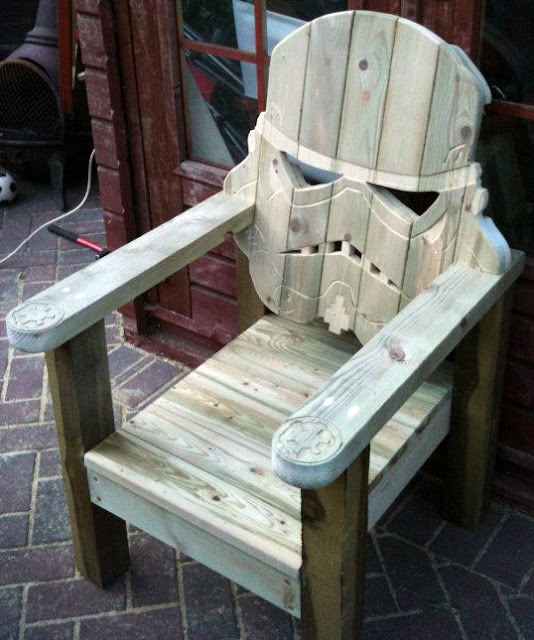 Well take a load off in this handy-dandy custom built Stormtrooper deck-chair! With so many ST's running around the Death Star, there's bound to be one sneaking a lazy pew, but few one a seat as classy as this. This is the chair that belongs at the head of the Sith table. To keep track on a Darth Vader work in progress, follow GotWood Workshop on Facebook after the jump. That would be a great last touch Anon!